I love making cool things with cool people, and I have the skills and experience to take ideas from concept to production. I’m a maker, with strong full-stack programming, product, and design skills. I grew up in Norway, India, and South Africa; and I’m currently based in Cambridge, MA. I studied entrepreneurship, innovation, and computer science at Northeastern University. As a software engineer, I’ve worked at BookBub, Swipely, and Nokia. 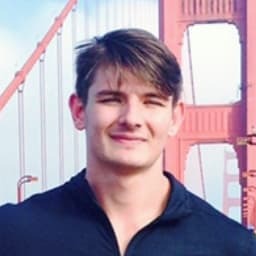 My primary interests are in entrepreneurship, web/app development, 3D computer graphics, data science/machine learning, quantitative trading, and productivity tooling. Check out my resume and portfolio for details! In my free time, I’m big into rugby, armchair philosophy, weight training, mountain climbing, and over-optimizing my Vim/tmux setup. I also really enjoy meeting passionate, adventurous, and authentic people.